Bacardi Rum Contest, 370lbs mako shark, caught by P.Taylor. Skipper: Robin Vinnicombe of the 'Huntress'. 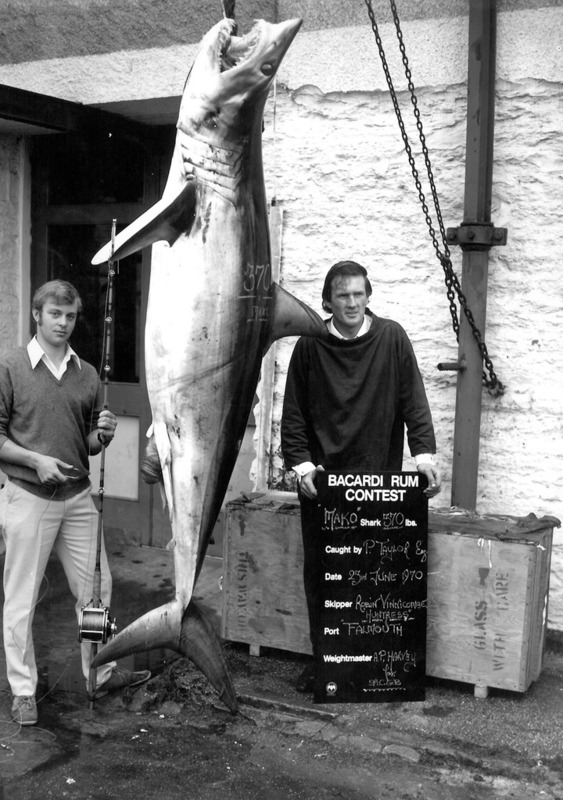 “Posing with catch of 370lbs mako shark, Falmouth, 1970,” cornishmemory.com, accessed April 24, 2019, http://cornishmemory.com/item/NMMC_1_4.